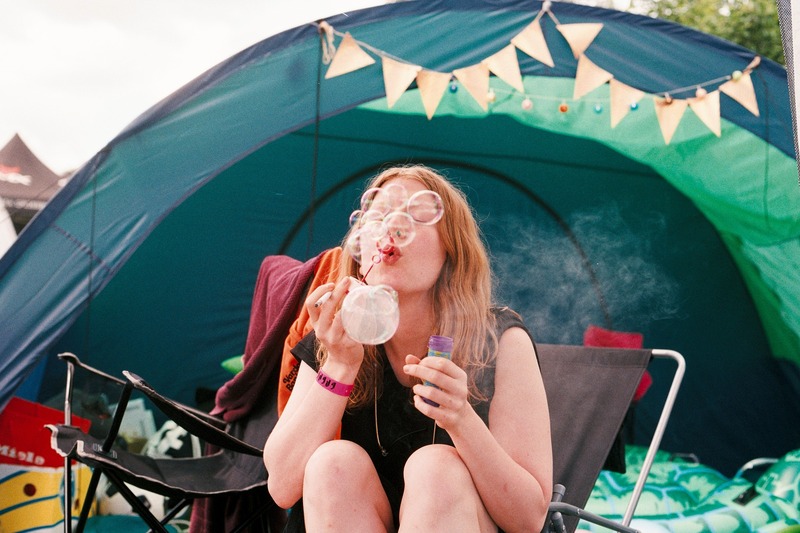 Our park has a variety of campsites to fit all our guests. Deluxe Loft Cabin: Sleep 2 adults and 4 children, equipped with 1 full size bed and 1 set of bunks and 2 twin size mattresses in the loft. In the cabin there is a ½ bath (no shower), table with 2 chairs, window A/C, and a kitchenette that features a microwave, mini refrigerator, toaster, and a coffee maker. Outside the cabin there is a picnic table, fire ring, and stand up charcoal grill. Deluxe Cabin: Sleep 2 adults and 4 children, equipped with 1 full size bed and 2 sets of bunks. In the cabin there is a ½ bath (no shower), table with 2 chairs, window A/C, and a kitchenette that features a microwave, mini refrigerator, toaster, and a coffee maker. Outside the cabin there is a picnic table, fire ring, and stand up charcoal grill. Regular Loft Cabin: Sleep 2 adults and 3 children, equipped with 1 full size bed and 1 set of bunks and 1 twin size mattress in the loft. In the cabin there is a table with 2 chairs, window A/C, and a kitchenette that features a microwave, mini refrigerator, toaster, and a coffee maker. Outside the cabin there is a picnic table, fire ring, and stand up charcoal grill. 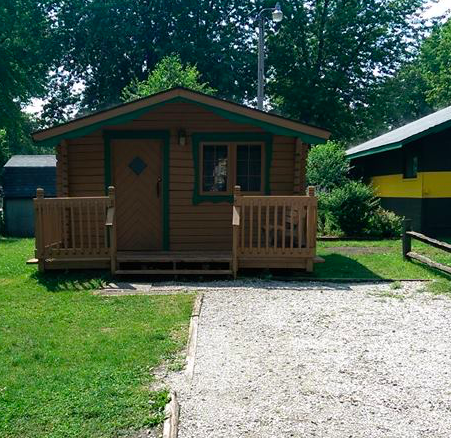 The regular cabins are located in close proximity to a Comfort Station. Regular Cabin: Sleep 2 adults and 3 children, equipped with 1 full size bed and 1 set of bunks and 1 single bunk. In the cabin there is a table with 2 chairs, window A/C, and a kitchenette that features a microwave, mini refrigerator, toaster, and a coffee maker. Outside the cabin there is a picnic table, fire ring, and stand up charcoal grill. 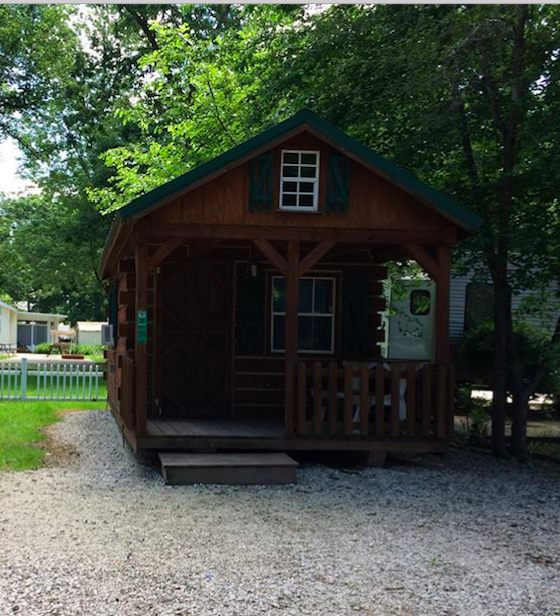 The regular cabins are located in close proximity to a Comfort Station. 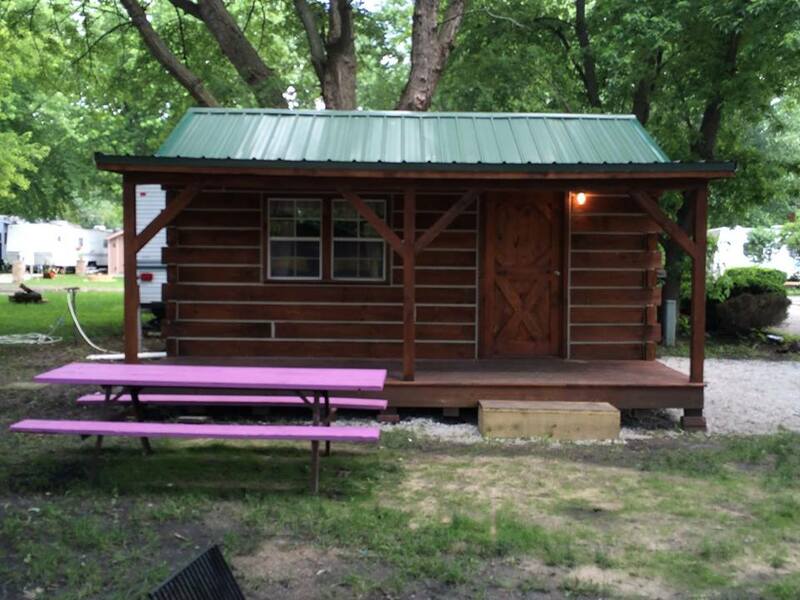 The cabin is pet friendly, must pay pet fee and clean up after dog, 2 dogs maximum. 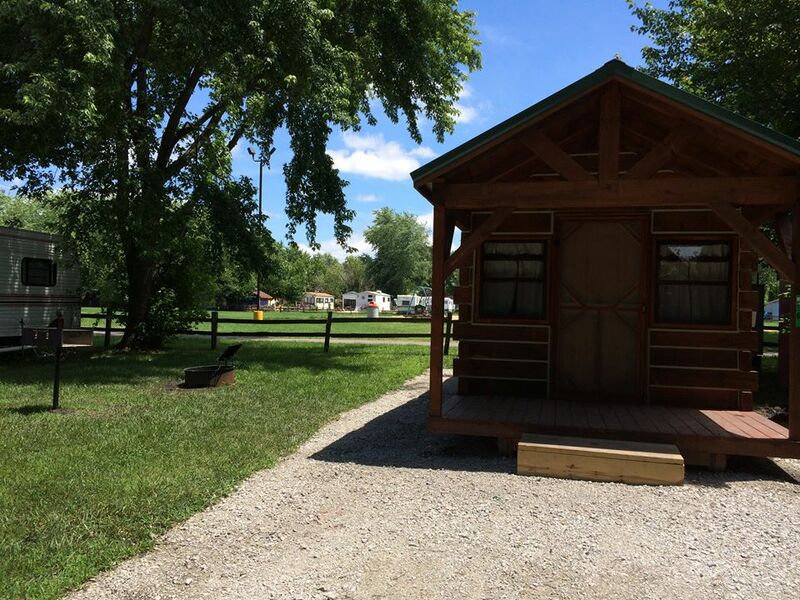 All of our campsites are full hookup with water, sewer and 30 amp electric. They have a gravel driveway, picnic table, and fire ring. Our sites can accommodate up to a 40’ camper. Only 1 vehicle allowed per site with a camping unit, 2 vehicles allowed when tent camping, overflowing parking available. An extra tent can be added to any campsite or cabin for an additional fee of $20.00 per night. Extra guest or day visitors cost $7.00 per adult, and $5.00 per child. We also offer Day Camping, come for the day and enjoy all of our amenities and activities, $7.00 per adult, $5.00 per child.